Vapor-blast hair with Damage-free system to give your hair unbelievable shine and smoothness lasting all day! NO DAMAGE STEAM STYLING - Conditioning steam infuses moisture back into your hair, locking natural hair oil and adding more shine to the finish. HAIR OIL TREATMENT - Condition your hair while styling! Add 1-2 drops Argan oil mixed inside achieves extra celestial shine, perfect for silky treatment. Create your own hair recipe! 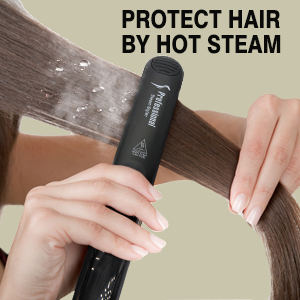 UPGRADED IRON - A perfect infusion of nano ceramic and ionized tourmaline, plus the floating function in plates, the steam iron smoothly glides through hair at ease, taming the thick & coarse hair and no more frizzy hair and split ends. 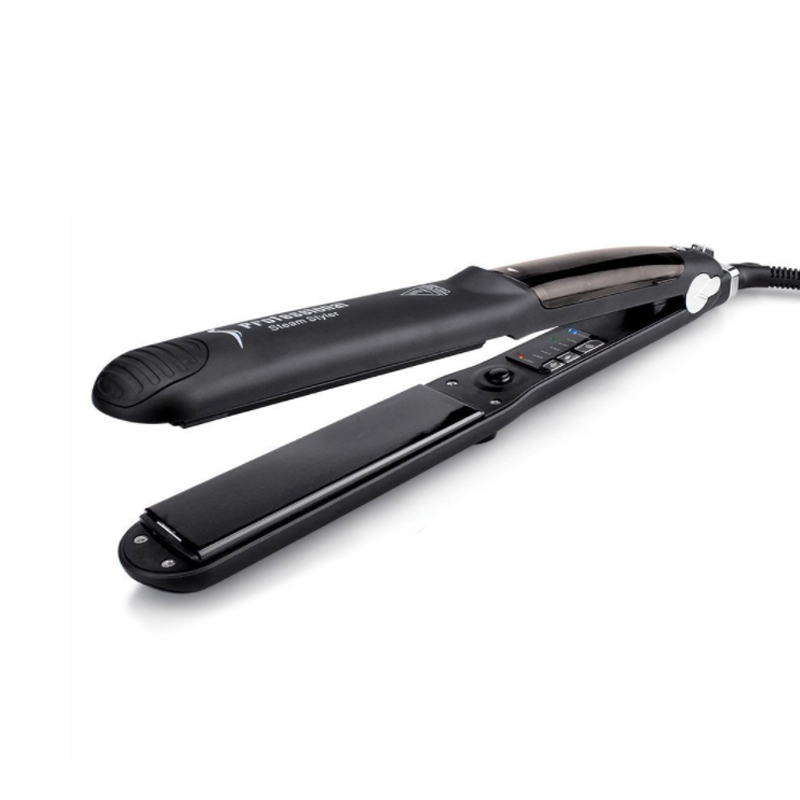 STRAIGHT OR CURLY - Ergonomic design with cool tips easily straightens curly hair and creates charming waves. 1.25 inch perfect width works great with any styles. 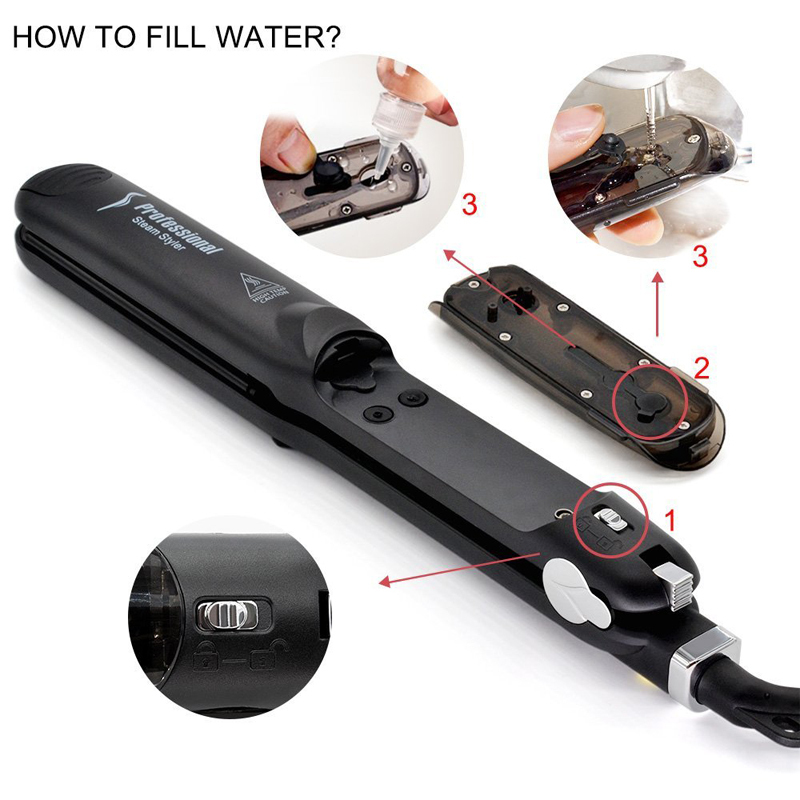 SMART FEATURES - 360° rotatable salon grade cord, worldwide dual voltage appliance, removable water tank for easy refills, and lockable plates for traveling. 210-240°C (410-460°F) for thick, curly and wavy hair.